Big data refers to large, complex sets of data that require advanced analytics to capture, manage, and process. 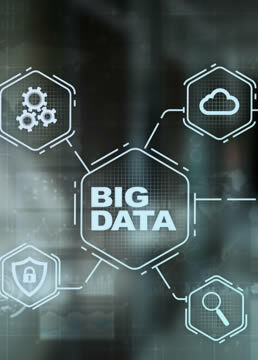 Despite its name, the real value of big data is not in its size, but in its ability to measure and transform a business. When handled properly, big data can empower organizations to understand their business, improving decision making abilities and performance. Tentacle Solutions can help you take control of your data. Tentacle Solutions is at the intersection of data, technology, and analytics, combining business experience with data expertise. The value of big data comes from the analysis and insights that can be gleaned from it. As a leading B2B database development company, we provide big data solutions to medium and large sized companies around the world. Tentacle Solutions makes it easy to understand what your data has to tell you.